Sony Electronics showcased its new line of BRAVIA® 4K Ultra HD televisions, designed to enhance image quality and provide expanded access to content. The televisions were built with a new 4K Processor X1, further advancing the color accuracy, contrast and clarity of the Sony 4K viewing experience. The new XBR X900C Series features a new ultra-thin floating style, making it Sony’s thinnest TVs yet with edge-to-edge viewing. The new models range in size from 43 to 75-inches and include four new series and 10 new models. As the industry leader in 4K picture quality, Sony’s commitment to developing technologies to enhance the viewing experience is showcased with this line-up. The new 4K Processor X1 was built to enhance color, contrast and clarity while improving the streaming quality of images that 4K content providers supply. Combined with the advanced 4K X-Reality™ PRO upscaling Algorithm technology, these televisions will analyze and upscale 4K resolution, providing the best image quality, regardless of the image source. With screens that provide a 3,840 x 2,160 4K resolution, these products also include TRILUMINOS™ display to accurately reproduce shades of red, green and aqua blue. Colors come alive on the screen in the widest color range ever, and dynamic color correction ensures colors are as consistent and accurate as possible every single time. Further enhancing the picture quality, these televisions will also be equipped with the critically acclaimed X-tended Dynamic Range contrast enhancement to provide peak brightness of LED as well as deeper blacks previously only associated with Plasma TVs. 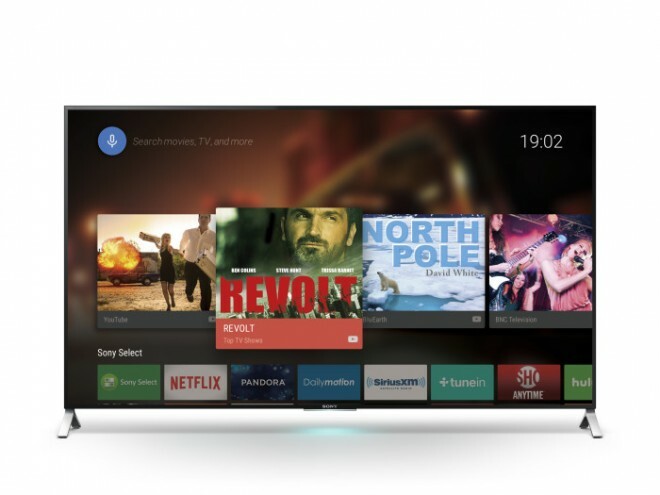 For the first time, these televisions will support Google’s Android™ TV operating system, making it easy to stream video, function as a gaming device and provide enhanced features like voice-enabled searching through a remote equipped with a microphone. With access to Google Play, consumers can enjoy what they like to do on a smartphone or tablet, from their television. Additionally, Google Cast™ will provide users with greater connectivity than ever before by enabling them to cast content from devices in a similar way as is done with Google ChromeCast™. 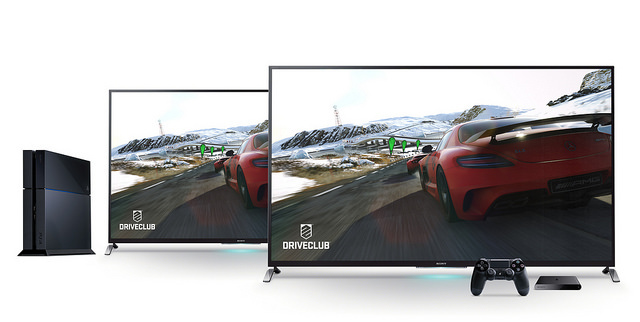 Game enthusiasts can bring the immersive world of PlayStation® directly to their new Sony 4K Ultra HD television with PlayStation™ Now (PS Now). Select PlayStation®3 (PS3™) games can be streamed directly to the TV, just like shows and movies, by connecting a Wireless Controller, DUALSHOCK® 4. PS Now streams PS3 games in their native resolution. As the leader in 4K with expertise in industry-leading innovation in televisions, technology and content, Sony’s new 4K Ultra HD TV line-up will expand access to 4K content through its partnership with Netflix, the world’s largest subscription video service and the Sony Video Unlimited 4K service. The companies will work together to provide an enhanced Internet TV viewing experience for consumers with new features including TV Instant On, Fast APP Resume and Fast Video Playback. Additionally, the new 4K TV line-up is ready for the latest 4K new spec “HEVC” and “VP9,” which can receive 4K distribution services and YouTube in 4K.